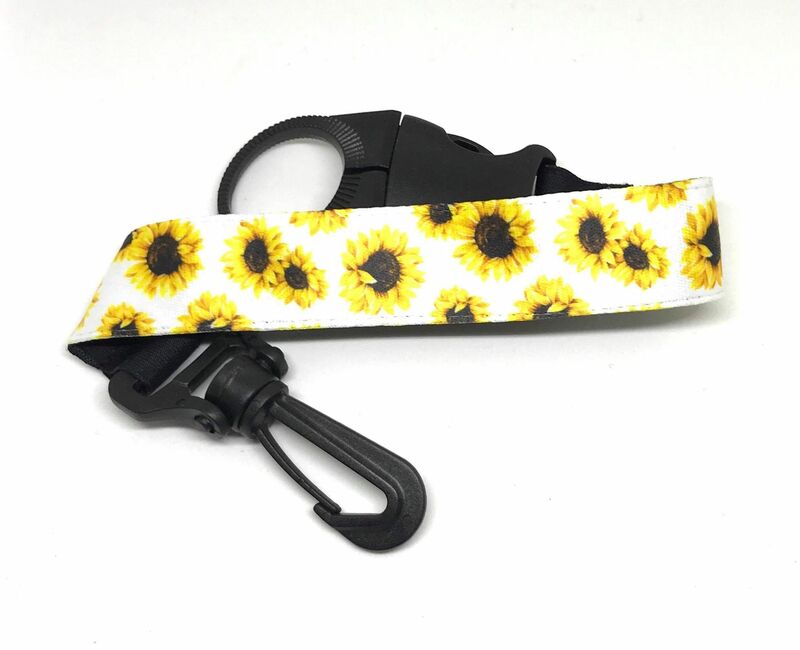 Adorable sunflower print on water bottle holders. PERFECT STOCKING STUFFER! Use on 16 oz water bottles. Great to hang on the fence at practice. Hang off your bag. Easily find your water bottle!